RideGuru - Would you use an autonomous vehicle? Would you use an autonomous vehicle? 23% say Rideshares have allowed them to lead a better life. Taxi or Uber? Surprisingly, most travelers have no preference. In September of this year, along with Bellhop and The Rideshare Guy, we organized the largest rider rideshare survey to date! With over 1,000 total respondents answering a variety of questions across rideshare habits, spend, impact, and future technologies we gained valuable insights into how we, as a society, view rideshares. One section of the survey focused on the future of autonomous cars and how riders view this new transportation technology. While many news sources and articles cite "excitement" around driverless taxis and autonomous vehicles, we found that most respondents are not ready for autonomous vehicles. In fact 64% would not feel safe in a car that does not have a human driver. 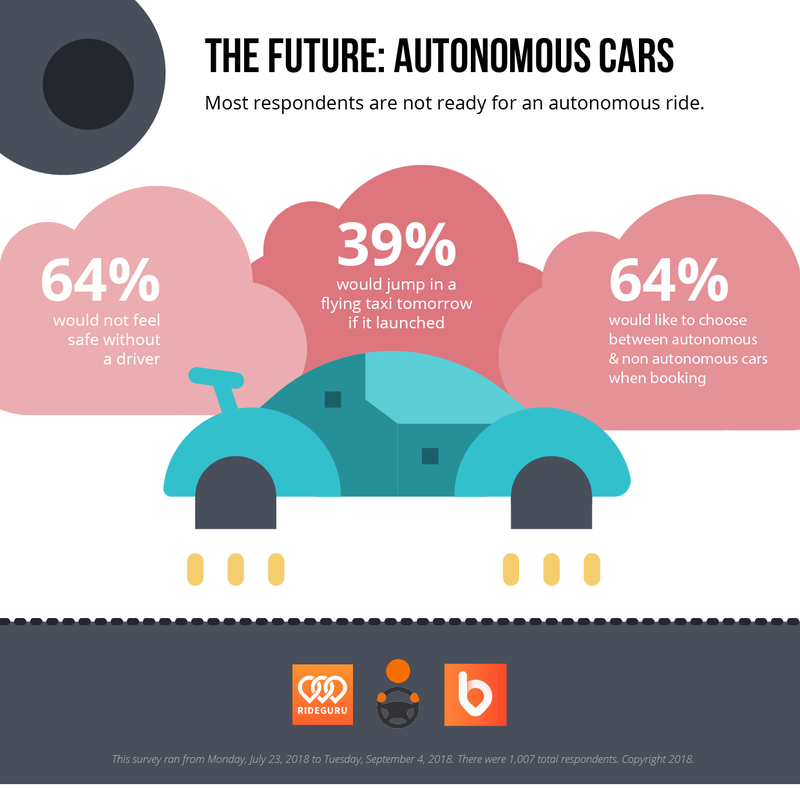 For a complete breakdown of autonomous car survey results view the infographic below. Check back weekly for more insight into our top survey takeaways! Hopefully all the tightwads will use it because we don't want you.